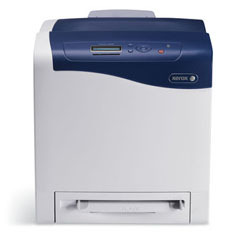 CNET UK has reviewed a color laser printer from Xerox. The color printer is called Xerox Phaser 6500 and comes with a very low price tag when you compare it with other color laser printers. CNET UK ends up giving the Phaser 6500 an overall score of 4 out of 5 possible stars. On the positive side the reviewer finds aspects such as very good color prints, crisp monochrome prints, good print speeds and the printer is cheap to purchase. There is however one negative side that keeps it from getting a top score and that is pretty expensive running costs so if you make a lot of prints it might not be the printer for you, but if you are looking for a cheap color laser printer that you will not use that often the Phaser 6500 might be ideal for you. Read the full review of the Xerox Phaser 6500 color laser printer here.